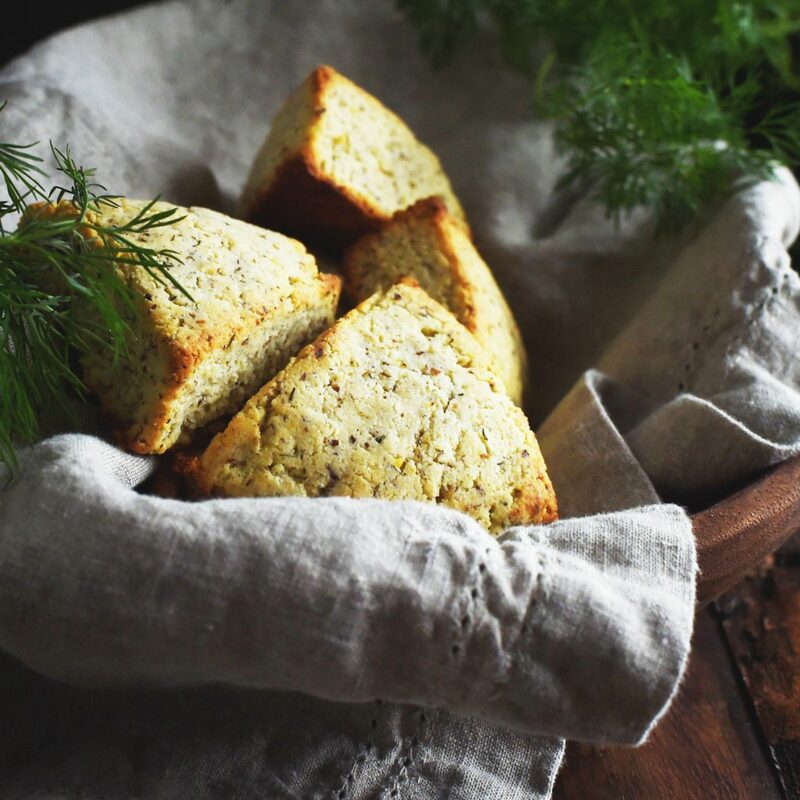 This recipe for Low-Carb Onion Dill Savory Scones makes deliciously flavored scones with a biscuit texture. They can be part of a low-carb, keto, Atkins, diabetic, gluten-free, grain-free or Banting diet. This recipe was inspired by a recipe for a yeast bread in an old Betty Crocker cookbook. This bread was made in an oven proof bowl instead of a bread pan. There were several different variations of the recipe, but I remember one of them specifically. The one that I remember was the version with onion and dill. Onion and dill makes such a great flavor combination! Years ago, I would serve Betty Crocker’s yeast bread with fish. I’ve been making fish a lot lately so this bread is on my mind. 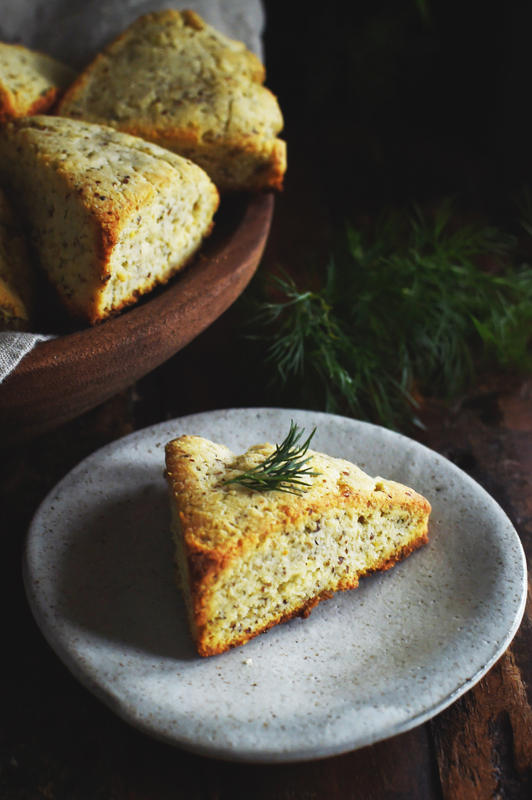 While I haven’t figured out (yet anyway) how to make the yeast bread low carb, I decided that scones flavored with onion and dill would make a great substitution. 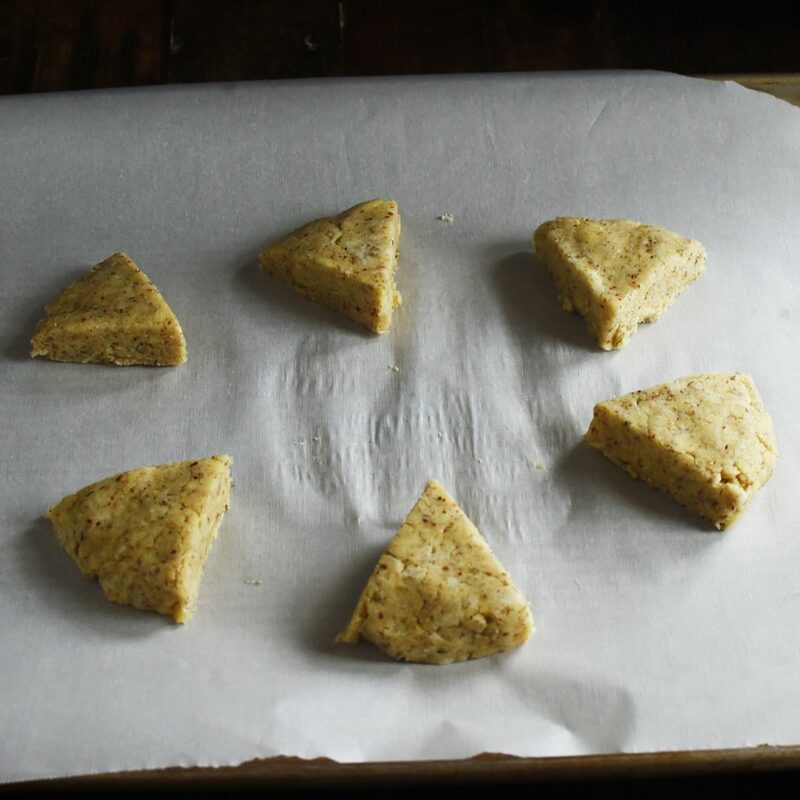 My adventures in the kitchen to make these Low-Carb Onion Dill Savory Scones began with my recipe for low-carb biscuits. 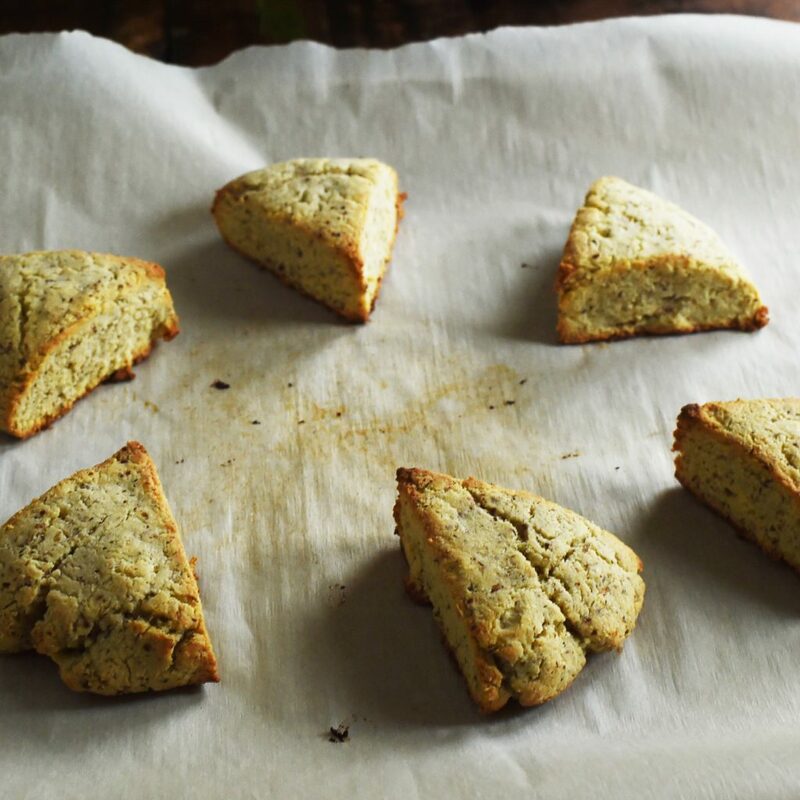 If you haven’t tried this biscuit recipe yet, you’re in for a treat. 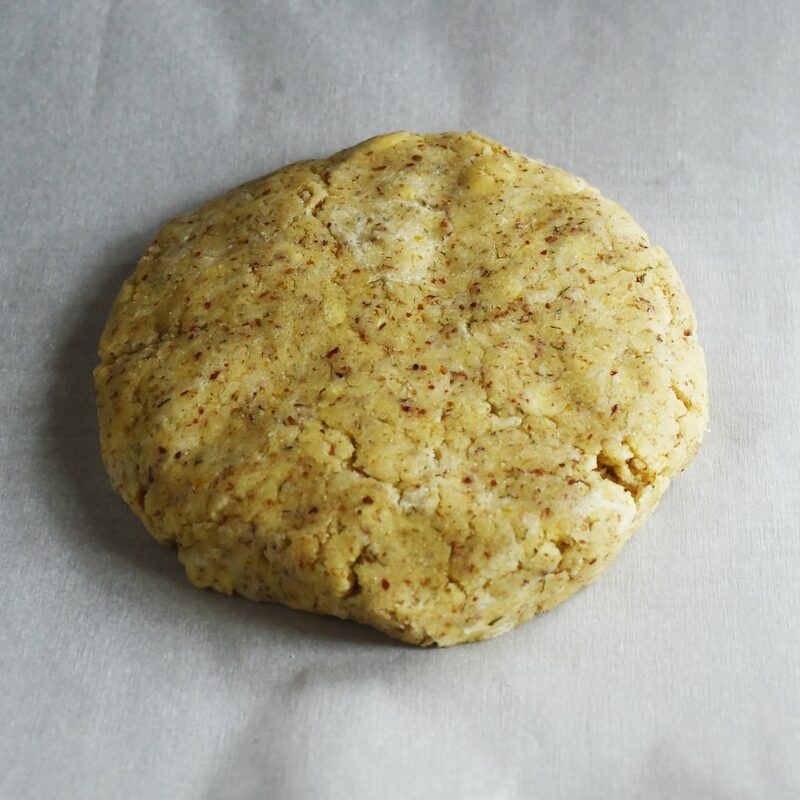 If I could send out virtual taste samples of these biscuits, the recipe might be the most popular recipe on the blog. 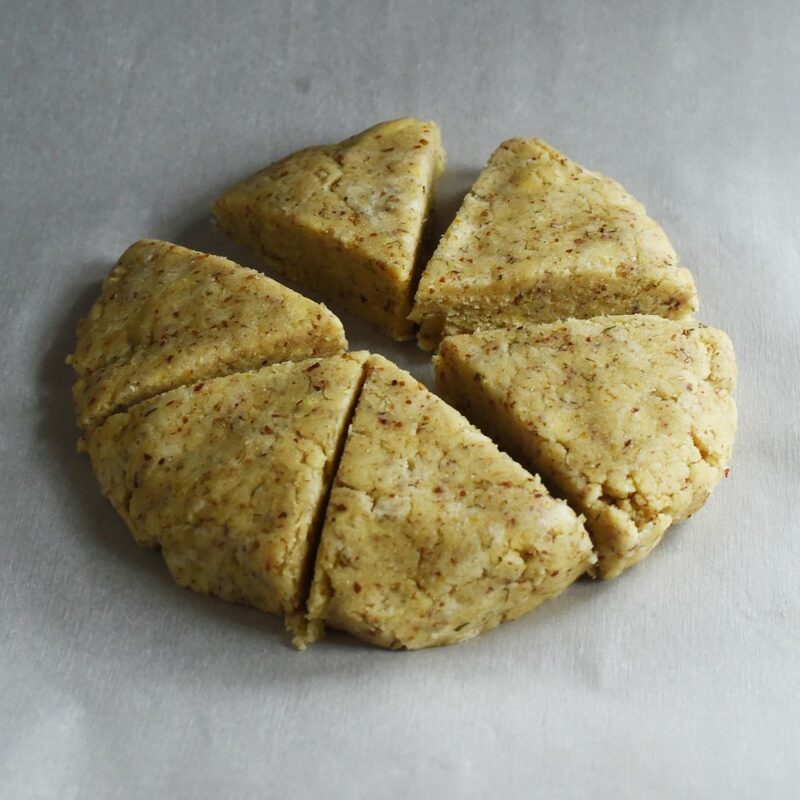 This biscuit recipe made the perfect canvas to alter into this recipe for savory scones. 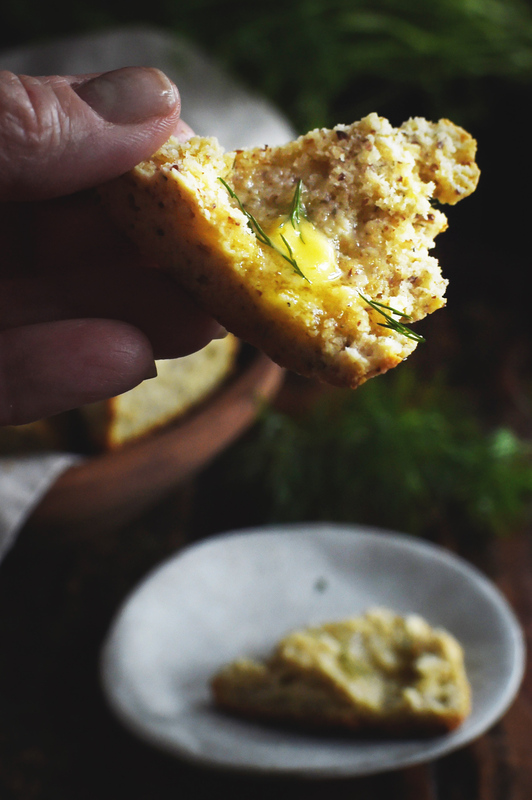 These Low-Carb Onion Dill Savory Scones make a perfect accompaniment for eggs or fish. Try the with our low-carb crab chowder or our oven-fried fish fillets. Another option is to cut them in half, slather them with cream cheese, and put some smoked salmon in between for a mini-sandwich. Don’t like dill? 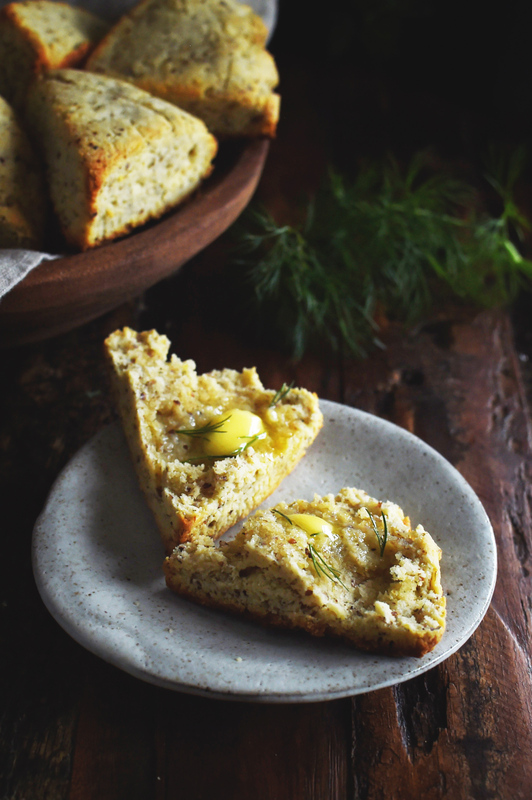 Make the recipe your own and substitute your favorite herbs. Enjoy! 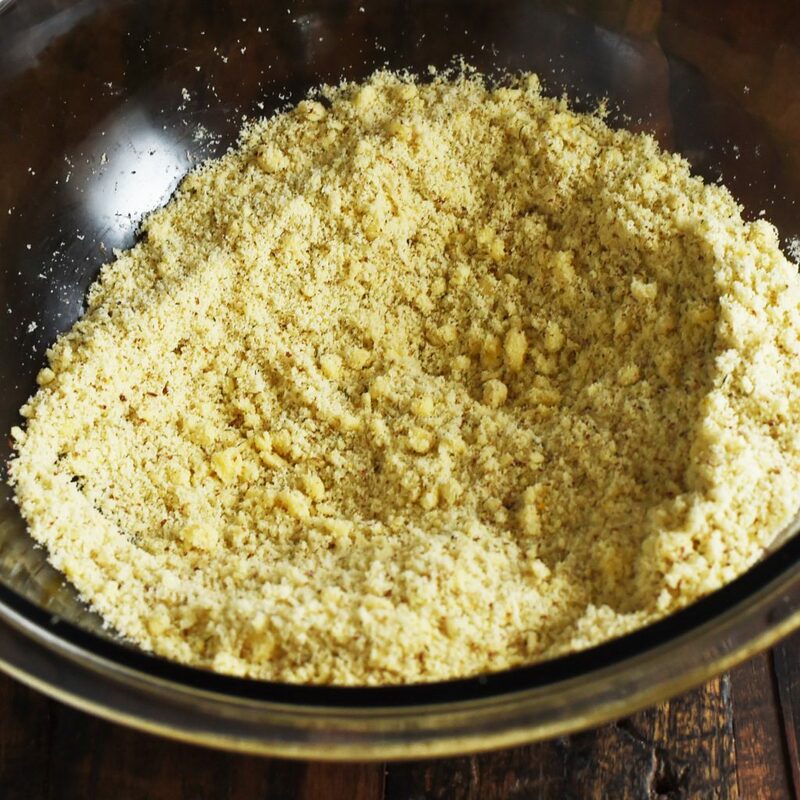 In a medium bowl, whisk together the almond flour, ground flax seeds, xanthan gum, baking powder, onion powder, fresh dill and sea salt until well blended. Add butter to the dry ingredients. Cut in, using a pastry blender until mixture appears mealy. In a small bowl, whisk together the sour cream and egg white. 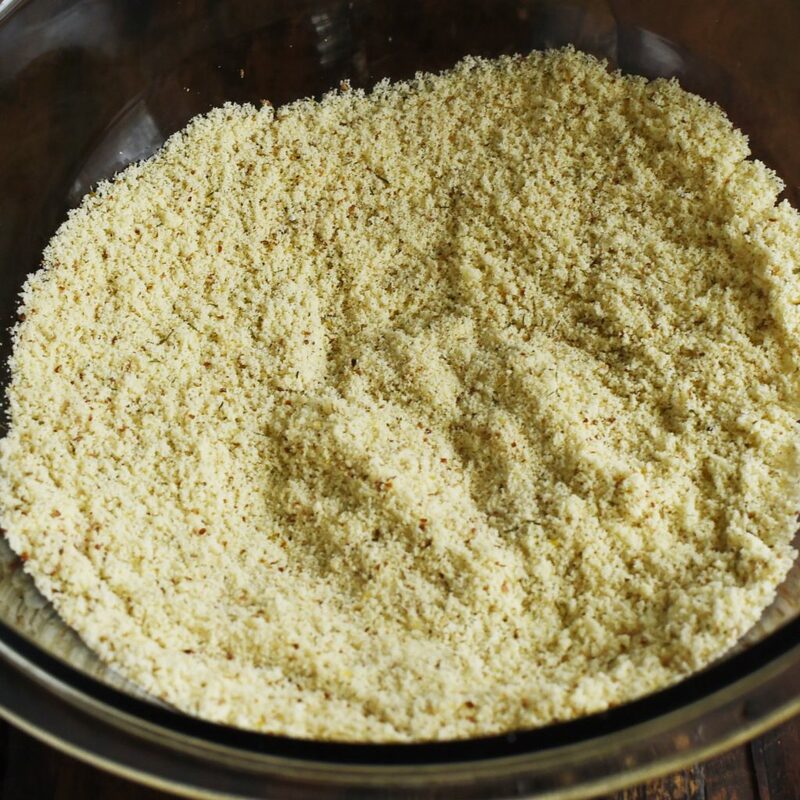 Stir into the dry ingredients to form the dough. Turn the dough out onto the prepared cookie sheet. Shape into a disk about 3/4 inch thick.
. Using a butter knife, cut into 6 equal triangles. Separate triangles so there is at least 2 inches between them. Bake for 10-12 minutes or until golden brown. Serve hot. Could these be frozen before baking do you think? Planning a brunch and would like to do as much in advance as possible. Thanks! My concern with freezing them before baking would be that the baking soda will loose it’s rising power. You could make them ahead and reheat them just prior to serving. I have done this and know it works fine. You may be able to even bake them, then freeze, then reheat. Of course, they will be at their absolute best when they are fresh out of the oven! Thanks for the response! I ended up making them day of, and they were devoured by the guests with smoked salmon and cream cheese – delicious! Really don’t feel deprived at all with these around. The only small issue I had was that I didn’t get the same height you did – even with less than 9 inches in diameter, they seemed flatter than what you show in your pictures. I’m wondering if I overworked the dough a bit – I don’t have a pastry blender so just used my hands. Anyway, I’m going to add this recipe to my repertoire – probably just need to do it a few times to figure out the best way. I’m glad you and your guests enjoyed the recipe. These biscuits don’t rise a whole lot in the oven, so you may not have done anything wrong. I think I’m going to change the recipe to use the thickness of the dough as a guide instead of the diameter. I think that may make more sense. You’re welcome! You may also want to try my biscuit recipe. Thank you so much for sharing your great recipes. I have just started the keto diet and am glad to have found your site! Your recipes are truly a Godsend. It’s generous people like y’all who make all the difference for diabetics and Keto dieters. Thank you so much! It’s comments like this that keep us going! Are the flax seeds essential? I have family members who have flax seed allergies. I haven’t tried this recipe without the flax seeds, but I think it won’t be an issue. I would replace them with more almond flour. The flavor will not be quite the same, but I suspect that the recipe will work. These are absolutely delicious. I added a little extra onion powder and left out the dill. They turned out rich, buttery and tender! They are rather calorie dense for such a small serving but considering how high in protein they are, it’s well worth it. Yeah, they are a bit calorie dense, but they are pretty satisfying. I find with low-carb versions of breads, I generally eat a lot less. Thanks so much for your kind words! Can flax meal be used, instead of flax seeds?